The above data were a ordinary schedule of class to begin from September 2017. There may be some minor changes to the schedule. 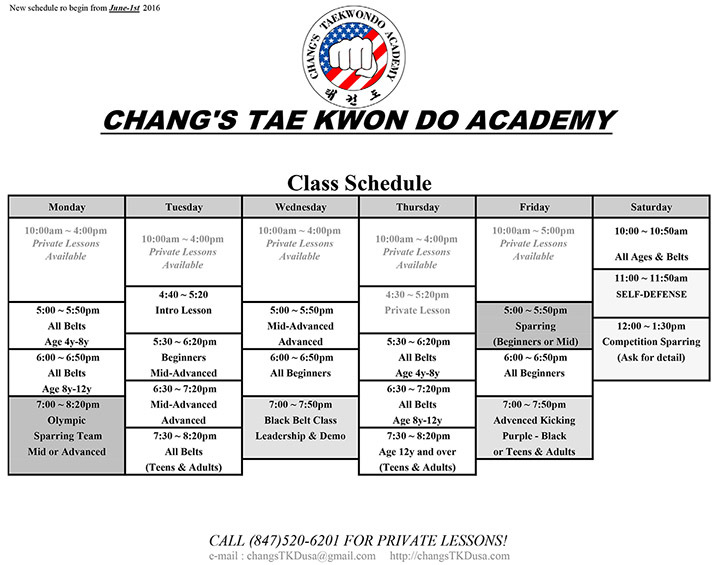 CALL (847) 520-6201 FOR PRIVATE LESSONS! Schedules are subject to change. If you want to make sure that, please contact us. Black Belt Promotion on Nov.